Viknesh Vijayenthiran March 9, 2018 Comment Now! 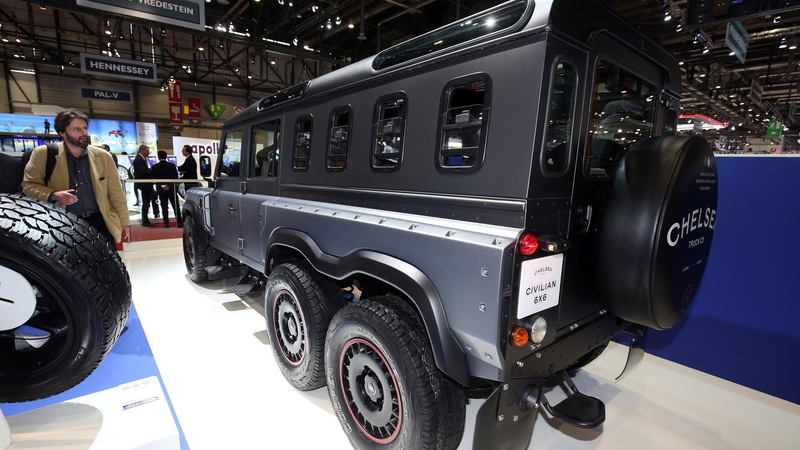 Following the success of its military-themed Flying Huntsman 110 WB 6x6, Kahn Design's SUV division, the Chelsea Truck Company, has developed a slightly tamer version which it is calling the Flying Huntsman 6x6 Civilian Carrier. 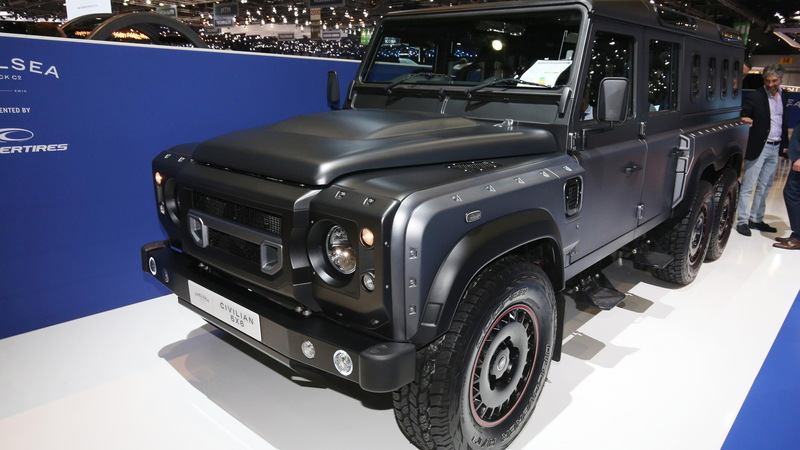 Unveiled on Tuesday at the 2018 Geneva International Motor Show, the vehicle loses the long-nose design of the previous Flying Huntsman 110 WB 6x6 but is still a full 34 inches longer than the Land Rover Defender 110 on which it is based, or about 200 inches in total. Oh, it also has nine seats split over four—yes four—rows. A pair of moonroofs provide plenty of light into the cabin, which has all the Kahn Design touches such as quilted leather trim, machined aluminum accents, and a modern infotainment system with navigation. 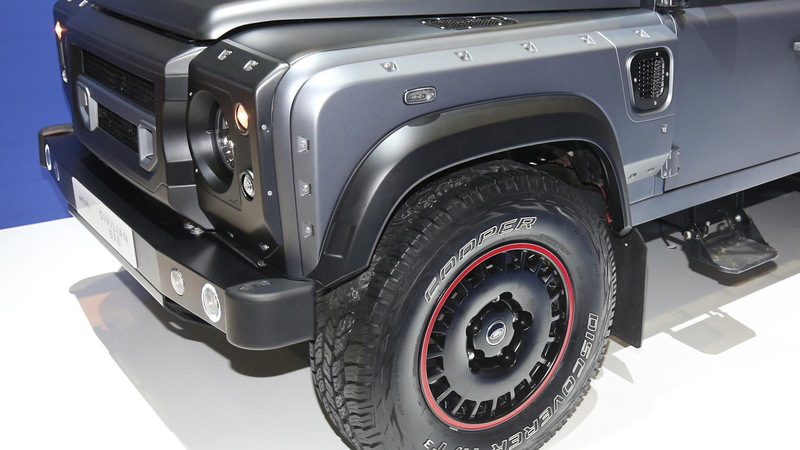 Drive is to all six wheels via a six-wheel-drive system switchable between high and low modes. And the standard powertrain is a 2.2-liter turbocharged inline-4 diesel good for about 170 horsepower. Those seeking more performance will be able to opt for a 6.2-liter V-8 with 430 hp on tap. 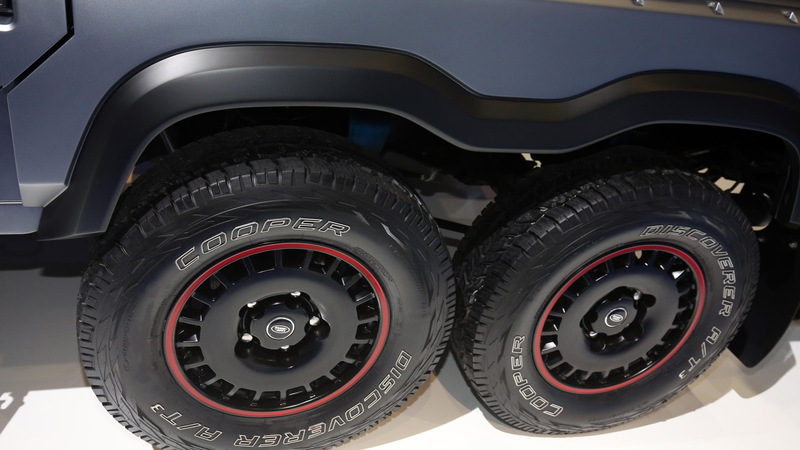 Other upgrades include beefed-up suspension and brakes, plus 18-inch wheels wrapped in Cooper LTZ 275/55 tires. 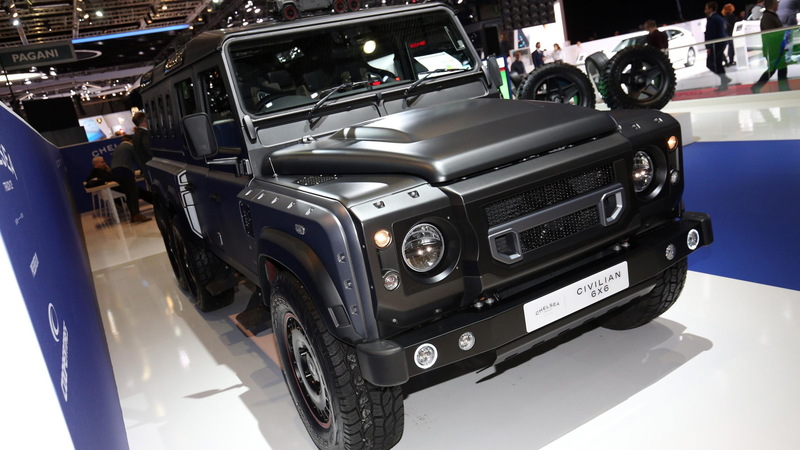 The starting price of the Flying Huntsman 6x6 Civilian Carrier is $345,400. That may seem steep, but the price is comparable with other 6x6 vehicles on the market such as Hennessey’s F-150-based VelociRaptor 6x6, which starts at $349,000. For more from the Geneva auto show, head to our dedicated hub.